A number of Lindor Capsules have now been supplied for pharmaceutical applications and fine chemicals. In addition, we have a Lindor Capsule available for customers at our test centre in Dordrecht. Vacuum enables a lower evaporation temperature, at which fluid becomes a gas. 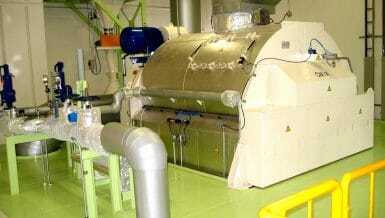 This allows drying under vacuum at a lower temperature, or faster drying at the same temperature. For example, the boiling temperature of pure water at sea level is 100°C, but on Mount Everest, where the air pressure is much lower, it is only 69°C. This advantage results in far better preservation of product properties due to a lower drying temperature combined with lower energy consumption. 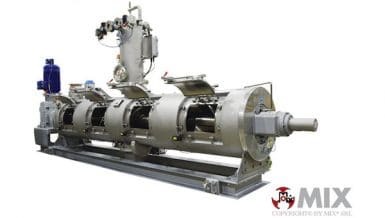 For coating and impregnation, the advantage of vacuum is that a liquid can penetrate and adhere deeper and more rapidly into the pores of a particle. The reason for this is that in the absence of air, liquid has a free path in and around the particle, and is not hindered by the air molecules present. A particle with pores that do not contain air, absorbs the liquid, so to speak. The Capsule Vacuum Dryer is a new development in Lindor technology. The core of the vacuum dryer is similar to the conventional Lindor Mixer in having a rotating drum with fixed vanes. As a result of rotation and gravity, powder or granulate flows evenly through the drum. Because an agitator is not used, the particles are practically free from shearing forces. The combination of this technology with vacuum ensures even temperature distribution, shorter drying times and maintains the product’s integrity. The new Capsule Vacuum Dryer differs not so much in mixing technology, but more so in its design. 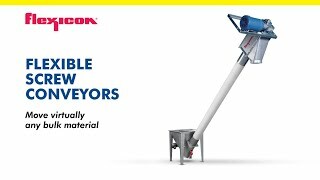 The drum has a double wall with a fully welded insulation layer, special seals that can withstand vacuum, and a rail structure that ensures a safe, quick and simple method for disassembly and correctly assembly. The rail structure makes cleaning the Capsule Vacuum Dryer easy, quick and thorough. It is a further development of the retractable inlet and outlet (QSR), that has been available on conventional Lindor mixers for 10 years. The Vacuum Dryer can be supplied in various batch capacities. Associated equipment such as hot water units, oil heaters, vacuum pumps, special filters and liquid injection can be supplied as an integral part of the system. Are you facing a challenge in drying or coating? Are you interested to find out how your product will react in our new vacuum test machine? Please contact us by sending an email to mixers@lindor.nl or call +31786550655.